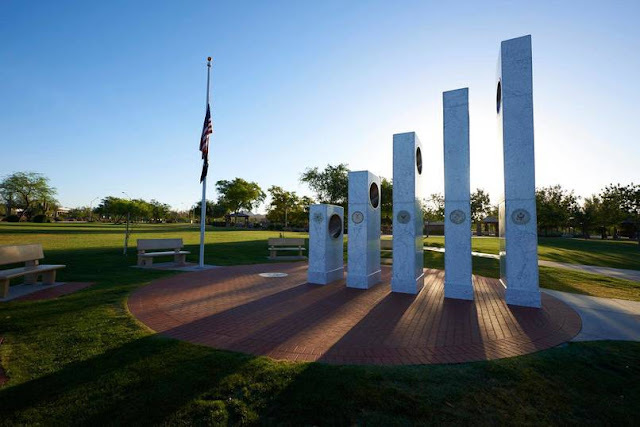 In Anthem, Arizona there resides five pillars. 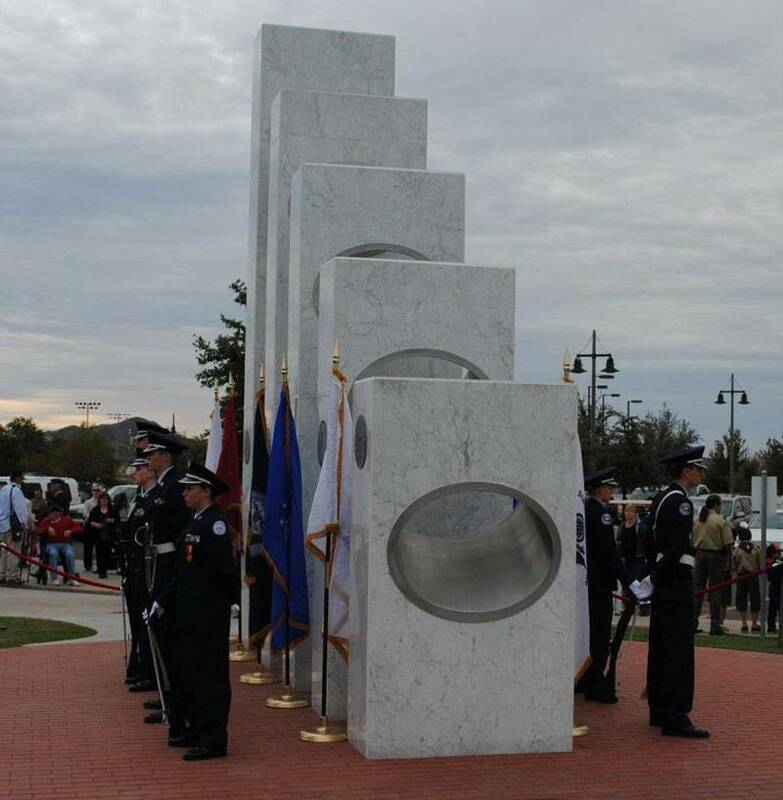 These five pillars serve as a memorial for our armed forces, each pillar representing a different branch of the military. 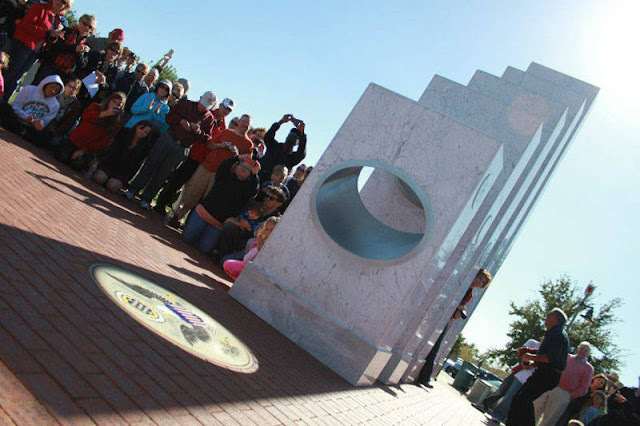 Designed by local artist and resident Renee Palmer Jones, the memorial is used in a Veteran’s Day ceremony every year to honor our fallen men and women. But during the ceremony, what looks like an ordinary series of pillars actually becomes quite special. 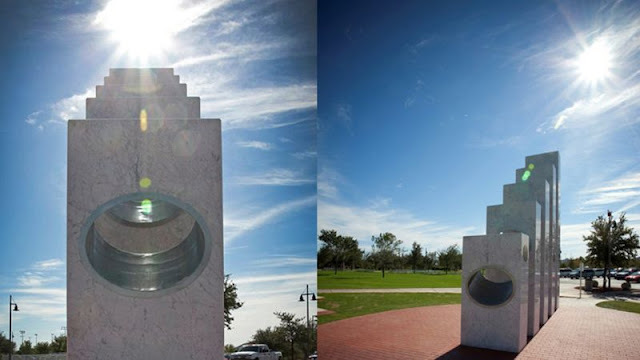 If you look closely, you will see that due to the way the pillars are aligned, that the sun will shine right through holes built into each descending pillar due to the way that they were perceptively measured by an engineer. At exactly 11:11 am on Novermber 11th, the pillars align to display the seal of the United States on the ground below. 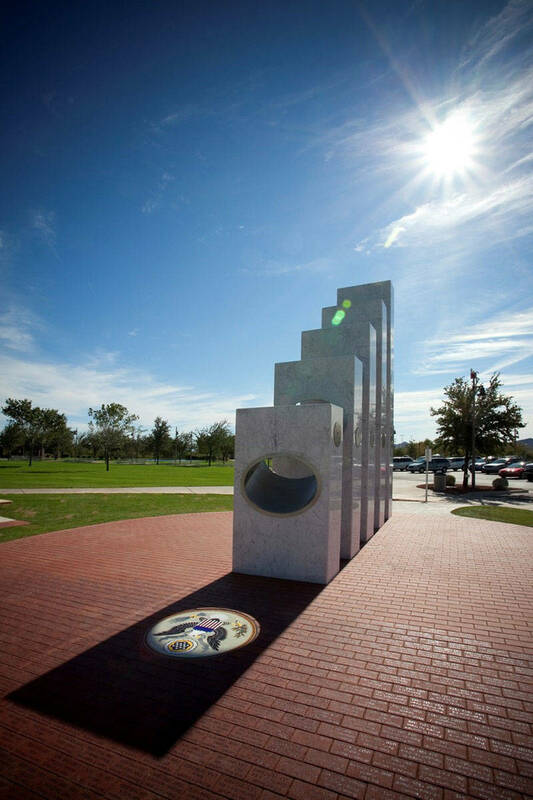 Along with the inscriptions of each of the fallen soldiers, this is quite the site to behold. 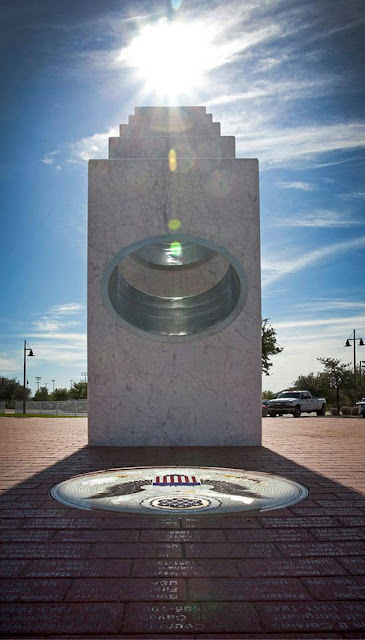 This really is a beautiful way to honor our fallen men and women who served this country so valiantly.